Spencer: I’ve never liked Barry Allen’s “new” origin story. It’s always struck me as an attempt to make the character — a likable, yet bland presence in his Silver Age heyday — more palatable to modern audiences by loading him with unnecessary angst, angst which tends to consume and overwhelm both Barry and his title. I’d be curious to see if current Flash writer Joshua Williamson agrees with me on that front or not. 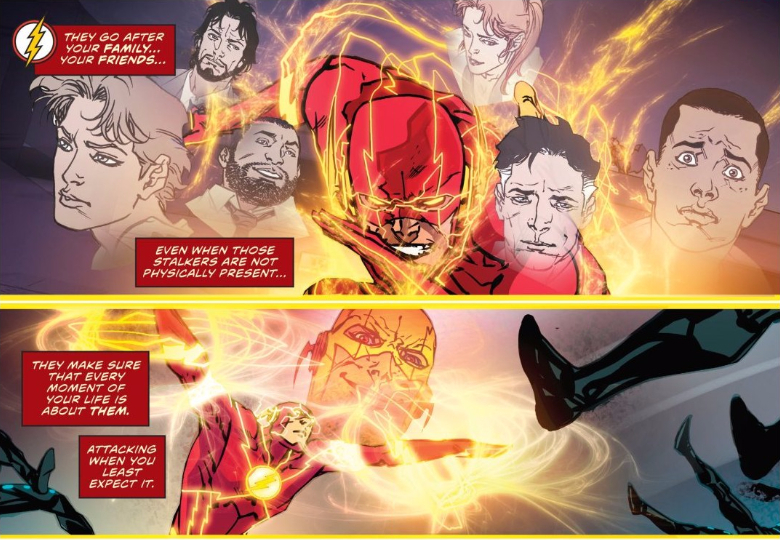 Flash 23 does indeed find Barry becoming consumed by angst, but not only do Williamson and Carmine Di Giandomenico present a rather compelling reason for it (in the form of Eobard Thawne), they also present it as being a rather glaring flaw on Barry’s part. Of course, angst may be too broad of a term here. Barry isn’t walking around reciting Linkin Park lyrics, but he is trapped almost totally within his own head, too focused on his fears about the Reverse Flash to actually engage with the people in his life. It’s a shame, because this issue takes place entirely at Barry’s surprise birthday party (at some sort of weird combination Chinese food pagoda/miniature gold course? ), where he’s surrounded by friends and family he can barely acknowledge. Williamson, Di Giandomenico, and letterer Steve Wands do fantastic work on this panel, showing the way Barry’s thoughts quite literally crowd out and obscure his friends. Barry won’t even look Forrest in the eye — he can only stare off into the distance, completely lost in thought. Forrest takes it better than most; Singh is downright harsh, and Iris is so frustrated by Barry’s current distance (and secrets) that she seems ready to call their whole relationship off if he doesn’t shape up pronto. Even Wally’s anger over Barry keeping his identity secret can be traced back to this; Barry is so secretive about his identity in the first place because he’s horrified of the ones he loves, like Iris or Wally, being put in danger because of his being the Flash. I appreciate the tight-rope Williamson walks here, pointing out how frustrating Barry’s behavior is while not wholly condemning him for it. Barry isn’t wrong to be scared; Thawne is absolutely horrifying, and bad news of the highest caliber. The creative team also provides the example of Multiplex, the duplicating supervillain stalking one of Barry’s guests, as a bit of foreshadowing as to what Thawne could do. 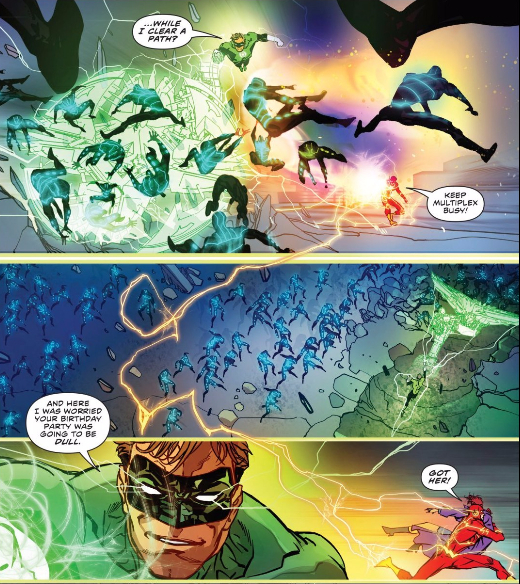 Like Thawne, Multiplex’s abilities make him practically inescapable, able to be in multiple places at once and capable of overwhelming both the Flash and Green Lantern. Ultimately, though, it’s not their abilities that make these men dangerous; it’s their madness and determination that makes them so formidable. You can never truly escape a stalker. Their actions threaten the very privacy of their victims, creating the idea that they could pop up anywhere, anytime. How do you not worry about something like that? Thawne, one of the fastest men alive, takes that fear to an extreme degree — even Thawne’s death can’t free Barry from his wrath, and to his credit, Barry is smart enough to realize that. So even if Barry’s preoccupation is frustrating at times, it’s still understandable, and readers can sympathize with his fears (especially if they know the history of everything Thawne’s done in the past/prior continuities). With the Flash in such a dark headspace, its up to his BFF, Hal Jordan, to lighten things up. It’s notable that Hal is the only one of Barry’s friends that actually succeeds at cheering him up, even if only for a few minutes; Hal succeeds because he doesn’t harp on Barry or even try to get him to open up at all. Hal’s just himself around Barry, and that kind of attitude rubs off on Barry. It’s why they’re such good friends in the first place, and why Barry particularly needs him now. I’m curious, though, as to what role Hal’s going to play throughout the rest of this story. This arc is entitled “The Color of Fear,” a title that ties pretty cleanly into Green Lantern mythology. The color of fear is yellow, not only the color Thawne wears, but the color which serves as a Green Lantern’s greatest weakness (in fact, there’s a 90s story where Thawne pummeled Hal because his ring couldn’t affect his yellow costume). Even the Flash logo on the cover is green (to match Hal) instead of its typical yellow. Whatever Hal Jordan’s doing here, it’s more than just a fun cameo. While there’s a few times throughout this issue where I found Di Giandomenico and Ivan Plascencia’s art unclear, I love how they work to further tie Barry and Hal together, using similar effects and techniques to illustrate both their abilities. It’s clear from the visuals alone that these two are partners, and that’s definitely the kind of synchronicity I want to see from these friends. What say you, Mark? Did this introductory chapter work for you, or was it a little too much pity and not enough party? 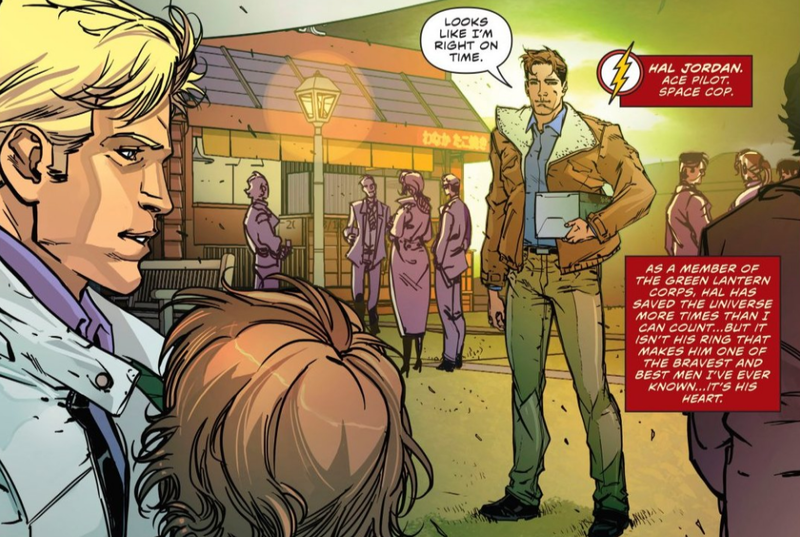 And what do you make of the opening tease that Thawne will somehow come to be remembered as Barry’s best friend? I don’t know how he’ll try to pull it off, but that’s a very Thawne goal for sure. Mark: I admit this was a rough opening issue for me because it checks a lot of the boxes on things I don’t like in Flash stories. For one, I don’t really have time for angsty Barry Allen. To your point, Spencer, Barry’s newest origin story has never done much to make him more unique or interesting — Oh, his Mother was killed? Did her name also happen to be Martha, or no? — and not wanting to tell Iris about his true identity out of fear she’ll be targeted by his enemies is legit one of the most rote beats in superhero stories. Oh, you want to protect Iris by not telling her about possible threats against her? How did that work out for you, Barry? — I ask as Thawne confronts Iris and Wally at the end of the issue. While Barry is right in this moment to worry about Thawne, or another rogue, hurting the ones he loves, withholding his true identity only makes it harder for them to be protected. By keeping Iris in the dark, Barry makes her dangerously uninformed of the threats she faces, and robs her of the opportunity to make choices that could protect her. I mean, maybe Iris doesn’t have any interest in dating a superhero. Maybe the risks to her life and, at the very least, having to deal with a mopey and ungrateful boyfriend who can’t get it together at his own birthday party isn’t what she has in mind. Barry might be operating out of fear, but it’s a much more selfish fear than he would care to admit. But maybe it’s misguided for me to be so focused on Barry’s shortcomings, as “The Color of Fear” isn’t Barry’s story; it’s Thawne’s. Williamson tells us as much on the second page of the issue. It’s the story’s framing device, the Flash Museum in the 25th century, that leads me to believe it’s possible Williamson is aware of the cliches he’s wielding and intends to subvert or otherwise use these familiar tropes to facilitate growth. The visit to the Flash Museum leaves a lot of unanswered questions (like who’s speaking and who’s being addressed), but the final reveal that Thawne ends up being Barry’s best friend fills me with a lot of optimism moving forward. Hal’s role in the issue points towards happier times as well. Upon the arrival of his crime fighting friend, Barry remarks that Hal’s best attribute isn’t his Power Ring, but his heart. This sentiment is echoed darkly by Multiplex later in the issue as he pleads with Sally, one of Barry’s guests. What truly lies in someone’s heart is getting a lot of play in Flash 23, and I expect that idea will feature prominently in whatever Williamson has planned for this arc’s eventual final chapter. Mark, you’re absolutely right about how stupid it is for Barry to keep his secret identity from Iris (although it’s not as offensive here as it is was on the show, where Flash was telling his identity to practically everybody, including some of his villains!, while still keeping his love interests in the dark [Poor Candice Patton is so underserved by the show, which is a shame cause you can see her really relishing the few moments when they give Iris something meaty to do, and she always knocks those moments out of the park]), but I definitely feel like this issue, as much as it’s giving us Barry’s perspective on why he’s being so paranoid, is still portraying him as being in the wrong. I guess we’ll see. I love your idea that Thawne might genuinely end up being Barry’s friend, though. I immediately assumed it would be the outcome of some sort of time-tampering on Thawne’s part, or the goal of one of his plans, because that’s exactly the sort of thing a psycho stalker like Thawne wants — he hates Barry so much because he loves him so much, after all (I mean, we already had the story where Thawne tried to BECOME Barry). Thawne genuinely becoming Barry’s friend would be pretty crazy — I can’t imagine DC letting it stick — but if Williamson can find a natural way to make it happen, I’d love to see it. It would be something really new and unique for these characters. I was just about to post my own piece on how stupid the ‘keeping my identity secret from friends and family’ thing was, when Mark brought it up. 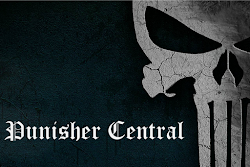 It is a weird piece of genre conservatism that has annoyingly stuck around. What reason is there for Barry Allen, or Peter, or any other hero with a secret identity, to keep it secret from those who could be at risk from their enemies? It feels like a topic that has already been litigated to death, proving that things are better when Iris or Mary Jane know. Yet it keeps propping up for stupid reasons. In fact, I think the worst thing that has ever happened when a love interest learned of the hero’s identity was with Karen Page. Who learned about it, freaked out, left for LA, kept the secret for years, got addicted to drugs, sold Matt out for money, leading to the Kingpin. And while this did lead to Born Again and Bendis’ run, both dark moments in a hero’s life, it is telling that it only happened because of a series of circumstances that were mostly unrelated to learning about Matt’s identity and the fact that Karen made the choice to betray Matt. The fact that the book about the hero who always gets the worst possible fate happen to him required something that elaborate to have it come back to bite him says something. I don’t think any other story has actually had the reveal be a bad thing.